Office Staff | Largest Real Estate Sales and Property Management Company in The Finger Lakes and WNY. 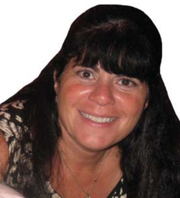 MaryAnn Giusti-Young is a native of the Finger Lakes area. After graduating from Auburn High School she attended Cayuga County Community College in pursuit of a business degree. MaryAnn has served in several customer service roles as well as worked for Seneca County. As a proud mother her greatest achievement has been being a stay at home mom and enjoying raising her 2 sons. In 2008, MaryAnn got her real estate license and began learning the industry from her son and mentor, David. She has since become very involved in the sale and rental aspects of residential real estate. Currently, she represents many local landlords as their exclusive property manager. MaryAnn maintains a large list of available house rentals and apartments throughout the area. She has a vast knowledge of local residential property and rental values which is a huge asset to anyone looking to sell, purchase or lease property. When MaryAnn’s not hard at work in the office she admits to being a “gym rat”… she enjoys staying in shape and being active. She loves animals, traveling and spending time with her family on their boat. MaryAnn’s dedication to her work is what has helped her to build lasting business relationships with all of her clients. Many of which have also become close personal friends as well as real estate clients. She enjoys her time in the field showing properties and looks forward to meeting all of your real estate, management and rental needs!